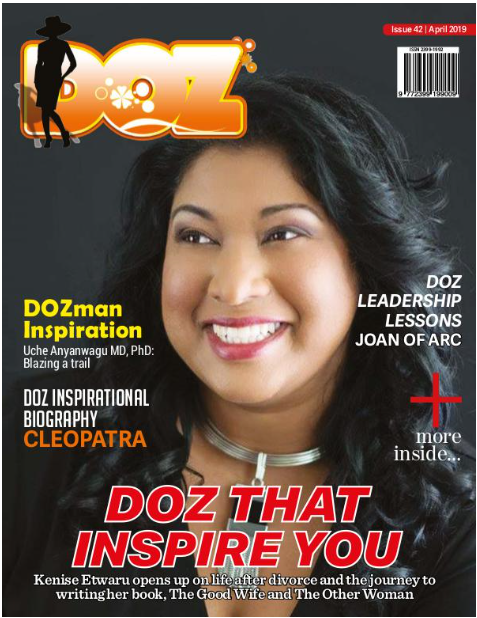 Roxanne St Clair is the guest in this episode of DOZ Show. She is an award-winning inspirational speaker, author, trustee, passionate educator, and effective coach. Over the last 17 years she has supported business owners with their financial accounting and office systems. As an inspirational speaker, Roxanne helps individuals achieve new heights of spiritual aliveness and success. She is the creator of The Value in You®, a set of 52 inspirational leadership cards, that assist individuals in their quest to live a life that they love. She is a trustee of the Mary Seacole Trust (MST), and was instrumental in the erection of the statue of Mary Seacole in the gardens of St Thomas’ Hospital, London. And she chairs the Commonwealth Girls Education Fund (CGEF), a charity that sponsors girls’ secondary education in their own Commonwealth country. Listen as Roxanne shares her inspiring journey and how it feels to live a life that impacts individuals and communities. Davinia James is a phenomenal young woman and she is the guest in this episode of DOZ Show. She is a Global Citizen and founder of Pennies4girls a project through which she has raised money to send over 280 girls to school in several developing countries. She is a youth advocate who desires to make a positive impact on the world in her own way. Davinia believes that although pennies and girls are viewed by many as being without value, a penny is not just a penny and a girl is not just a girl. Listen and be inspired as this amazing woman shares her journey of using seemingly worthless pennies to help give an education and a future to girls in developing nations who are more often than not perceived as worthless.